← A pacificação está saindo dos trilhos? 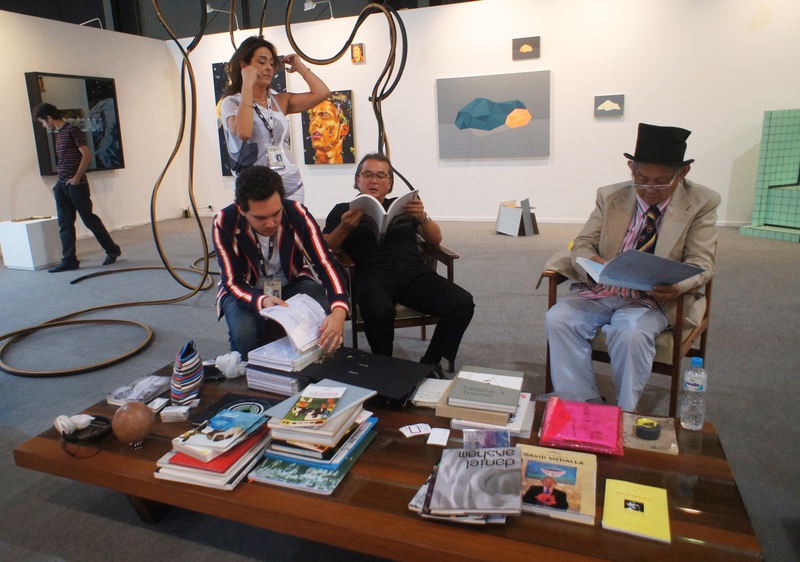 Will ArtRio join Tefaf, Art Basel, Frieze and Art Basel- Miami Beach as one of the world’s top commercial art venues? 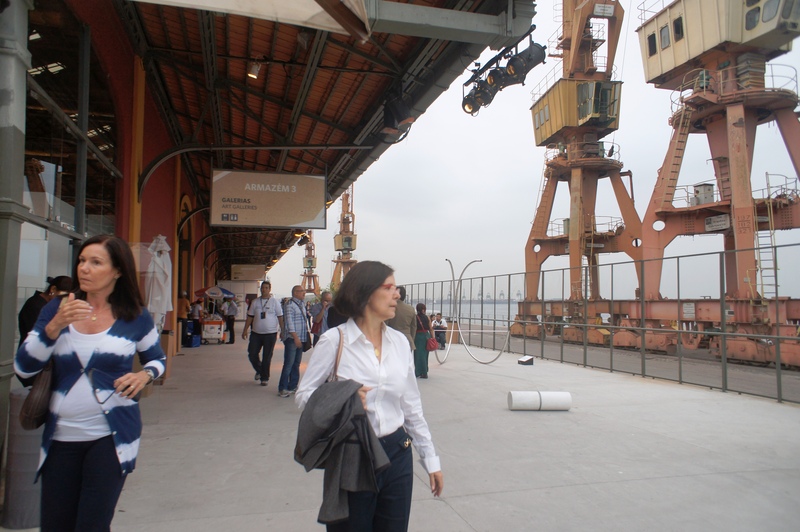 That’s a possibility voiced in a Veja Rio article summing up the venture, which since its birth last year doubled in size from two to four Pier Mauá warehouses in the port area now undergoing revitalization. A bull’s eye for ArtRio? 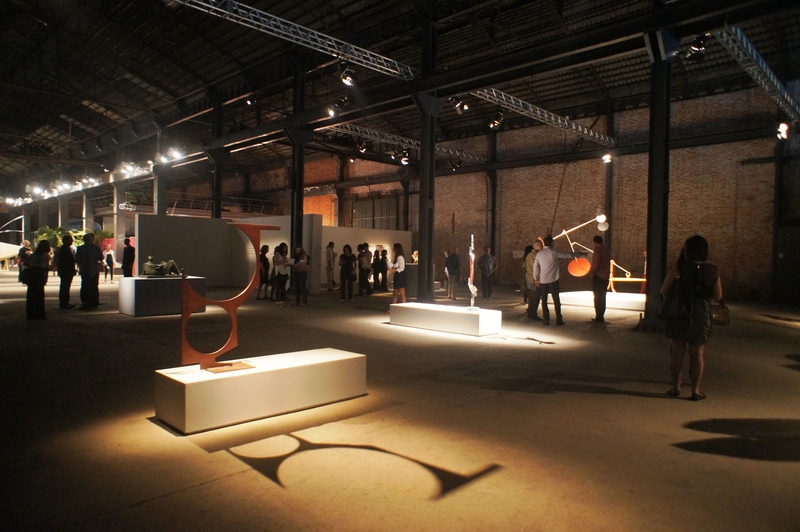 The fair opened amid the OiR series of outdoor temporary art installations, fabulous exhibits in local museums, Raul Mourão’s Balanços sculptures in the Praça Tiradentes with an open-air party Saturday, and a tunnel sculpture by Ernesto Neto in the defunct Leopoldina train station. 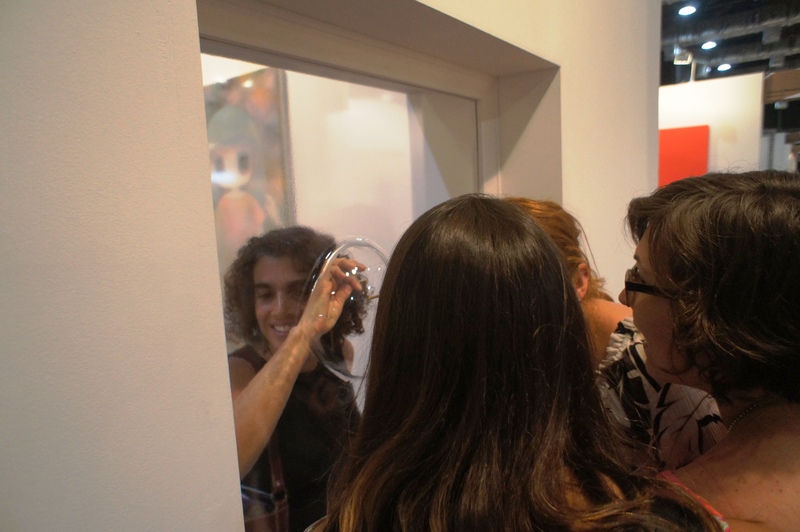 Brazil’s economic boom, Rio’s oil and gas income, and a burgeoning new middle class– plus pacification– all work to connect the local art market with the rest of the world. 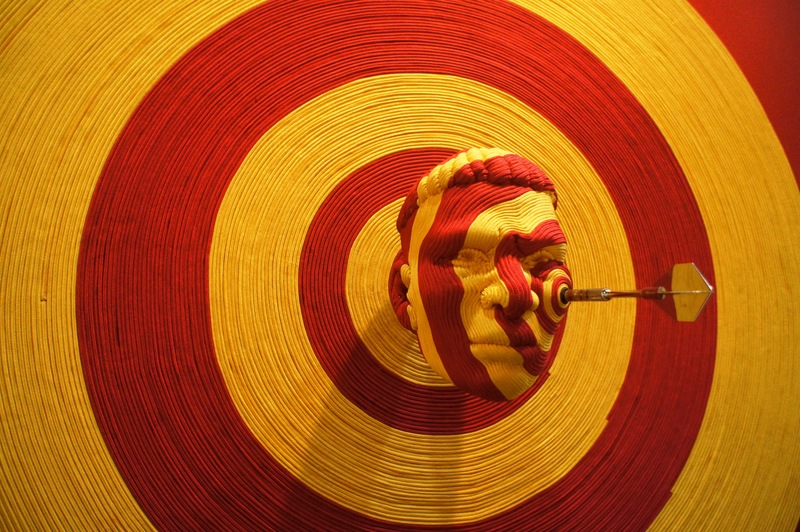 Steinmetz is showing Brazilian artist Mozart Guerra (who did the yellow and red Indian, above), an unknown locally because he’s lived in Paris for the last twenty years. It’s Steinmetz’ creative method of laying the groundwork, in addition to the US$ 20,000 he says he spent to be here. Just over half went to pay for a twenty-square-meter booth. Last year, ArtRio surprised everyone, but especially São Paulo natives, with sales of US$ 70 million equivalent, three times what the São Paulo fair had pulled in earlier on. 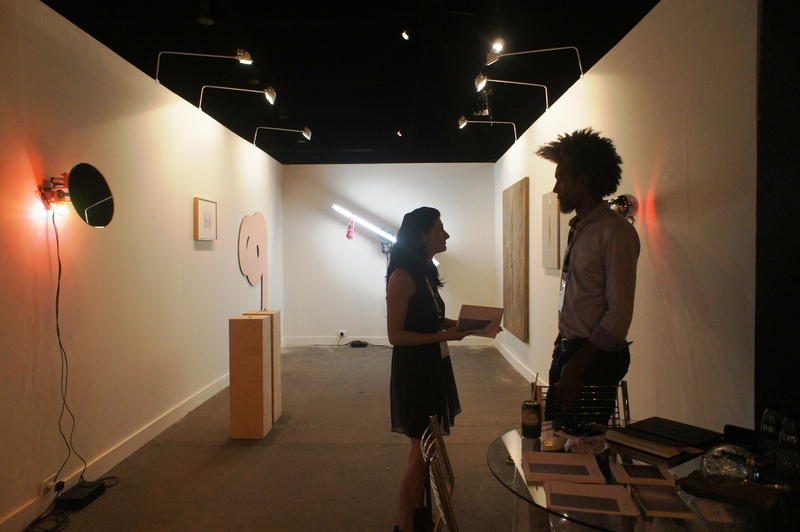 Not many paulista galleries participated in 2011, but this year they’re here in force. “And they brought their clientele,” says Claudio Edinger, a top Brazilian photographer from São Paulo. 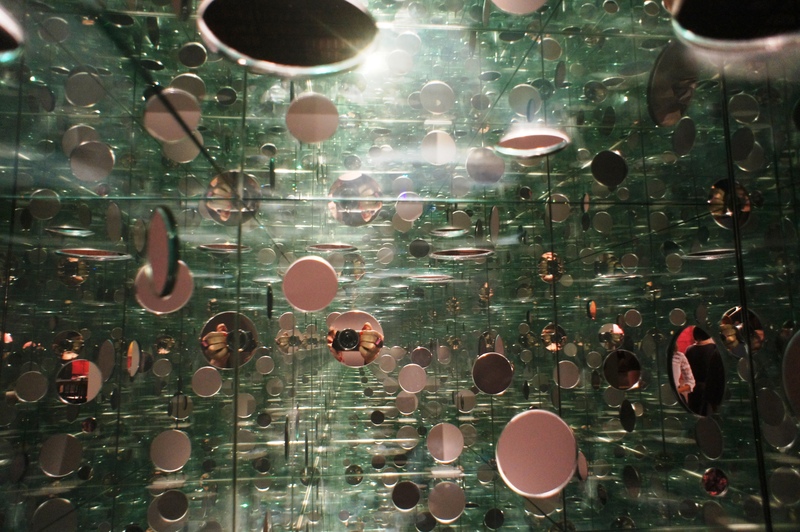 Museums also shipped in visitors: the São Paulo Pinacoteca and the MAM, or modern art museum, each took about forty collectors to visit ArtRio, VIP relations director Maria Luz Bridger told RioRealblog. 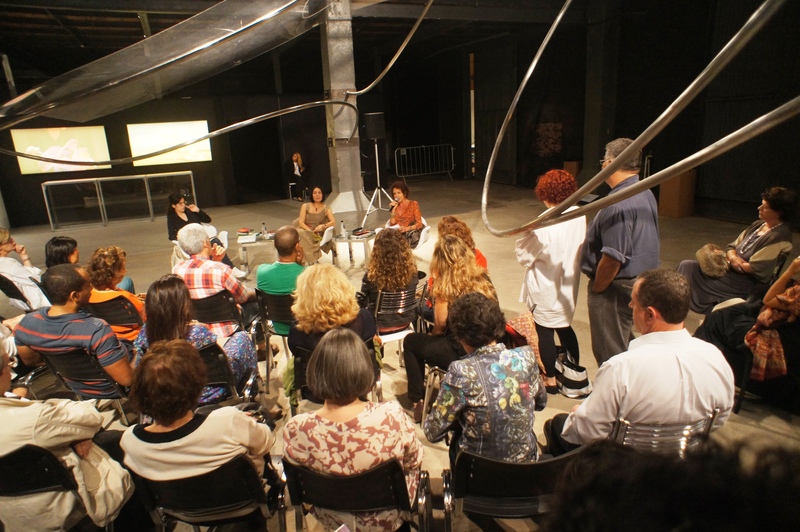 This year 120 galleries are participating, up from 83 in 2011, according to Veja, displaying no less than a thousand artists’ work worth US$ 130 million. The four warehouses tire the feet, but house such an involving range of foreign and Brazilian art that a visitor easily forgets to go home. There are Picassos, Warhols, Koons and dozens of other pieces worthy of museums, plus an entire sculpture exhibit from the famous Gagosian Gallery, a first-time exhibitor. There is so much going on at and around the fair, and all so well organized– food stands, visits to Rio galleries around the city, a bar and a 00 disco party, kids’ activities, a Casa do Saber adult education stand, conversations with and about artists, people wielding clubs and dressed up as cave men and women, bizarre pastry, book launches— that the recently coined catchphrase imagine na Copa (short for if it’s this bad now, how will we ever get our act together for the World Cup?) didn’t even come to mind. But disturbing thoughts will always trump. Such as, with this much money, space, interest and dedication, how much could be done to prevent the chilling teen murders that took place not far away, just over the weekend. The Gagosian, in Rio de Janeiro! This entry was posted in Brazil, Transformation of Rio de Janeiro / Transformação do Rio de Janeiro and tagged ArtRio 2012, Casa do Saber Rio de Janeiro, Claudio Edinger, Gagosian gallery, Ilana Strozenberg, Iole de Freitas, Klaus Steinmetz, Luisa Duarte, Mozart Guerra. Bookmark the permalink. Cutting edge info on all I love about Rio! Magnificent job Julia! !